This weekend marked an important step towards democracy in Russia’s far eastern region of Khabarovsk. The Open Russia Movement has established a regional office in the city of Komsomolsk-upon-Amur. The opening event was attended by a member of the city council – Oleg Pankov. 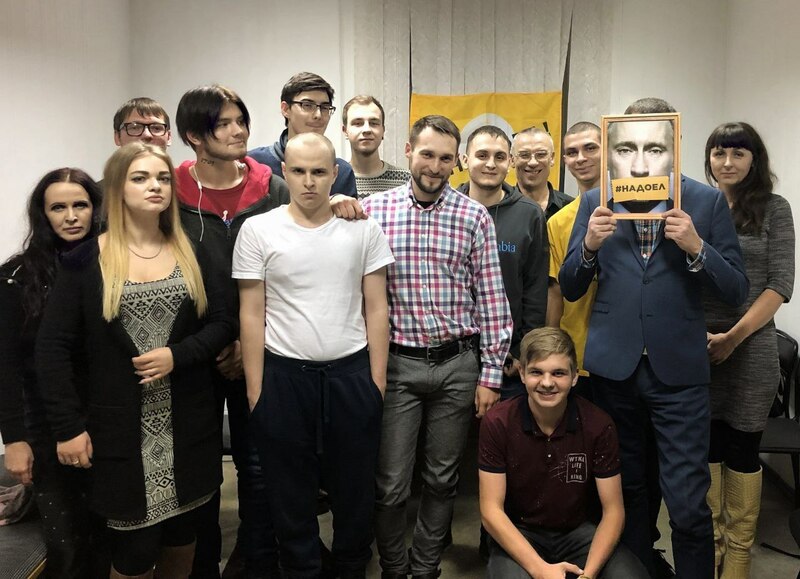 Members from the Open Russia Movement’s new office in Khabarovsk, Siberia. Oleg Pankov stood fourth from the right. Oleg Pankov had originally been elected as a member of the Communist Party. 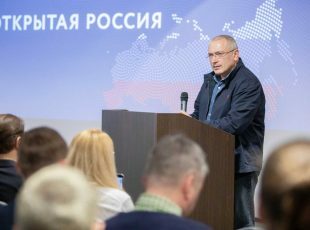 However, he soon realised that as an associate of an official opposition party he was unable to vote against issues that did not toe the line with the policy of United Russia – Putin’s political party. In voting against this line, Oleg was kicked out of the Communist Party, though he was able to hold on to his position as city councillor. Oleg is personally acquainted with the injustices and undemocratic practices enforced by the Kremlin kleptocracy. 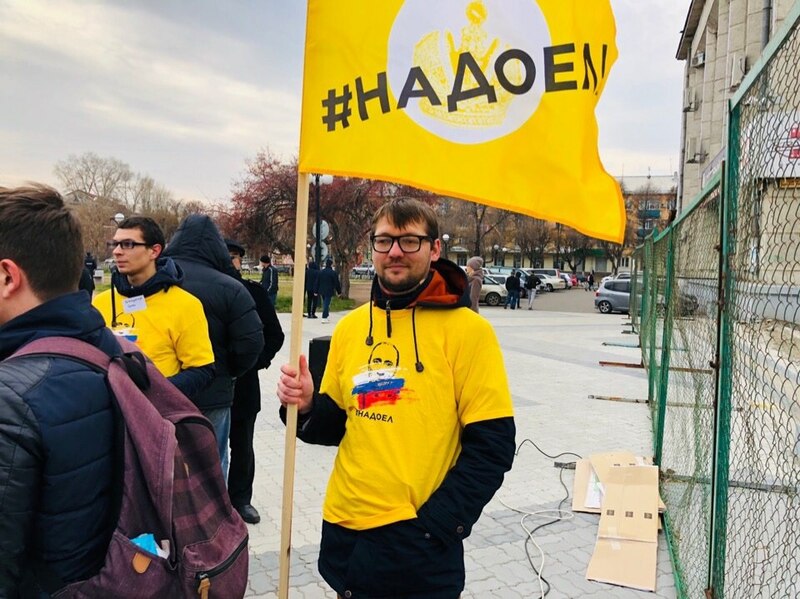 And it is because these practices that Oleg has joined the Open Russia Movement, to use his experiences for the good of democracy in Russia, teaching young people how to run civil campaigns and become independent parliamentarians. 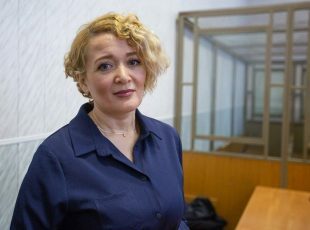 Member of the new Open Russia Movement’s Office. Flag and T-shirt read ‘Putin: enough’s enough’. Oleg is just one member of the 28-person team informing local Russians about the importance of democracy and how it can be achieved. The regional co-ordinator of the new office is Sergey Naumov. Sergey and the team have already planned several civil campaigns, aimed at resolving issues impacting local Russians. These campaigns include: improving traffic conditions in Komsomolsk-upon-Amur, and fighting corruption that occurs during budget allocation. Although it is important to lead civil campaigns against ineffective and sometimes corrupt politics, it is equally important to challenge those in power who are maintaining the political status quo. And this is precisely how the members Open Russia Movement in Khabarovsk marked the opening of the new office. 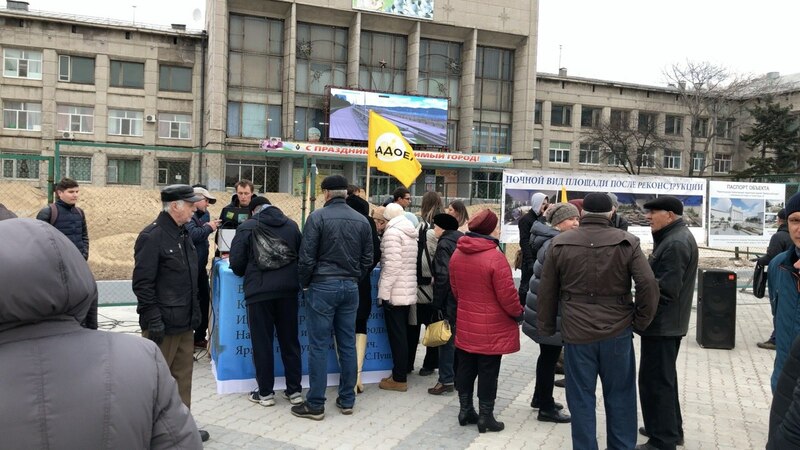 They led a demonstration against United Russia councillor Svetlana Bazhenova who – in spite of her 20 years in power – has done nothing significant for the local region. 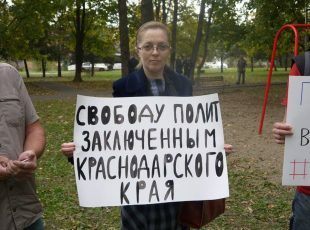 The peaceful demonstration was held in Komsomolsk-upon-Amur and called for Ms Bazhenova’s resignation. The new office in Khabarovsk is a definitive step in the direction of real democracy in the region. Through civil campaigns members from the Open Russia movement will highlight the apathy that the pro-Kremlin council shows towards its own citizens.